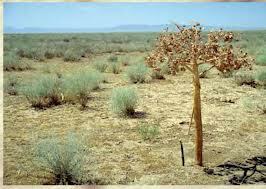 The Semi Arid climate zone covers about one third of the world's surface area. Its precipitation level is so low that evaporation is rare. Although it has a small amount of vegetation and animals, the few that do live there are very unique. They have the ability to survive in the harsh conditions of this area.